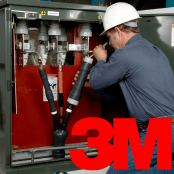 3M Cold Shrink top hat glands provide effective cable glanding of HV XLPE SWA cables for cable diameters up to 94mm – typically “top hat” cable glands are used to earth high voltage 11kV BS6622 XLPE insulated SWA cables up to 94mm diameter. 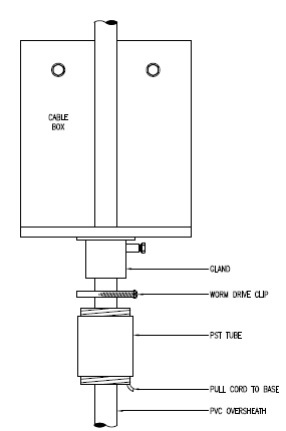 The cold shrink gland kits are available in two different range diameters THG1 (35-65mm) and THG2 (53mm-94mm). The top hat gland kits are manufactured from galvanised steel and includes fixing screws and jubilee clips – the cold shrink sealing tube manufactured by 3M Electrical provides a reliable environmental seal resistant to acid, alkalis, ozone, fungus and UV light. 3M top hat glands are designed for use with armoured MV cables in conjunction with cold shrink termination applications. 3M Cold Shrink Tubes and Insulation tapes have a 5 year shelf life from date of manufacture when stored at the recommended temperature of 10-27°C at <75% Relative Humidity. Please refer to the individual technical data sheets for EPDM Rubber Cold Shrink Tubes for details of electrical properties and other data.